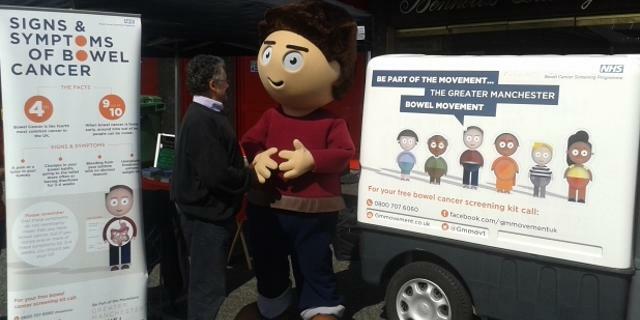 Bury Market was joined by the Greater Manchester Bowel Movement on Wednesday 17 July. Their aim is to help everyone in Greater Manchester learn a little bit more about Bowel Cancer and their screening programme. One of our traders Alan was first to meet Dave and get some information.